Sometimes what the enemy means for bad God will use for good outcome in our lives. We have heard this again and again but do we use it only when we see it works for us? Are we only stumbling through the Word? Using the scriptures that make us feel good or look holy? I am writing to God’s church in Corinth, to you who have been called by God to be his own holy people. HE made you holy by mind of Christ Jesus, just as he did for all people everywhere who call on of our Lord Jesus Christ, their Lord and ours. Sometimes our lives have bumps in the road, we can stumble and fall over them or we can leap over them. It all depends on where our eyes are focused. When Jesus was pursued by Satan as he had his forty day fast he tried every trick he could think of to get Jesus to bow to himself. Jesus knew better, just as we know better that the truth is there is only one God and Him only we serve. When we focus on our short comings instead of looking to see what God can do with them to bring about change, good change; we are actually putting our own needs and desires before God. Crazy thought? Maybe but its true. I do not want to put myself before God, or His plans for my life I want to be sure that the Church I attend and the people I fellowship with are part of my life because God has ordained it. W all know people who mean well in the beginning of their Christian walk; they start out doing what God wants but get caught up in the glory of fame and fortune and loose track of the goal God called them to. They do what they can to get higher and higher on the totem pole in their own eyes, and the eyes of this world we live in. God did not plan for us to look to what we live for as a means to attain selfish gain but to gain for the Kingdom of God. The enemy, or Satan, would rather we get caught up in the cares of this world and forget all propriety and self control. As Believers we must stand out and be different. No matter what happens we must stand on the Word of God as truth, for God’s glory. This does not mean we should hide our plans, but be sure that they are God directing plans. We reject all shameful deeds and underhanded methods. We don’t try to tick anyone or distort the word of God. We tell the truth before God and all who are honest know this. If the Good News we preach is hidden behind a veil, it is hidden only from people who are perishing. Satan, who is the god of this world, has blinded the minds of those who don’t believe. They are unable to se the glorious light of the Good News. They don’t understand this message about the glory of Christ, who is the exact likeness of God. …”dear brothers and sisters, let us clarify some things about the coming of our Lord Jesus Christ and how we will be gathered to meet him. Don’t be so easily shaken or alarmed by those that say the day of the Lord has already begun. Don’t believe them even if they claim to have had a spiritual vision, a revelation, or a letter supposedly until there is a great rebellion against God and the man of lawlessness is revealed –the one who brings destruction. He will exalt himself and defy everything that people call god and every object of worship. He will even sit in the temple of God, claiming that himself is God. As for us, we can’t help but thank God for you, dear brothers and sisters loved by the Lord. We are always thankful that God chose you to be among the first[d] to experience salvation—a salvation that came through the Spirit who makes you holy and through your belief in the truth. 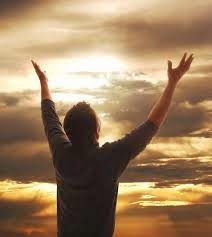 14 He called you to salvation when we told you the Good News; now you can share in the glory of our Lord Jesus Christ. We are told to study the Word of God so that we will know the truth and be able, as Jesus did, to quote the words of the Bible to ward off the wiles of Satan, the enemy, and the cares of this world. We need to know what it says to stand on it and to walk in the Love of Christ towards others. If we do not know what it says, how will we be able to teach others of Jesus’ plan for their lives? If we do not read the Word of God we will not know what it says. Dig into the Word today and find out what God has planned for you! Dear Heavenly Father, thank you for giving your word to us a a guidebook to study and restudy and grow in faith, hope and love. 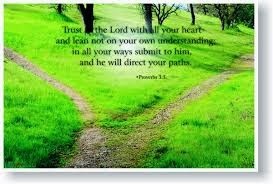 Help us to walk the walk you have laid out before us and to trust You to know where You lead us. In Jesus name, amen. Suggested Reading: Psalm 115:1-18, Matthew 6:1-34, 2 Corinthians 4:1-18 and 2 Thessalonians:2:1-17.